Secondary education is commencing at our College in 2020. Our current Year 4 and 5 students will be the first to benefit from the modern, purpose-built facilities that we will provide for their contemporary secondary education in 2020 and 2021. We are now also taking online enrolment applications for Year 7 in 2020 and 2021. The curriculum that we will provide through to Year 12 will create a solid pathway for students to transition to university, to the world of work, or to the multifold opportunities of post-school technical & vocational training and apprenticeships. The design process has drawn upon examples of cutting-edge specialist spaces provided in schools around the nation. The major building in our first stage will provide a student-friendly ‘innovation precinct’, incorporating multiple science laboratories, design and materials workshops, visual arts studios, STEM spaces, and food technologies kitchens. An additional secondary multi-purpose facility (with student change rooms and food service area) will be the focus of health and fitness education and form the backbone of successive stages which will incorporate a fitness centre, dance and performing arts centre for music and drama, and a commercial quality hospitality kitchen and cafe. Amongst all of this will be contemporary learning areas for student inquiry, student social hub spaces, a Chapel and spirituality centre, and a range of amenities for school administration and student services. Parents are eager to know about the range of curriculum offerings proposed for secondary studies, activities for students beyond the 3:00 pm school day (including access to OSHC), and transport options from local bus companies that service the College. 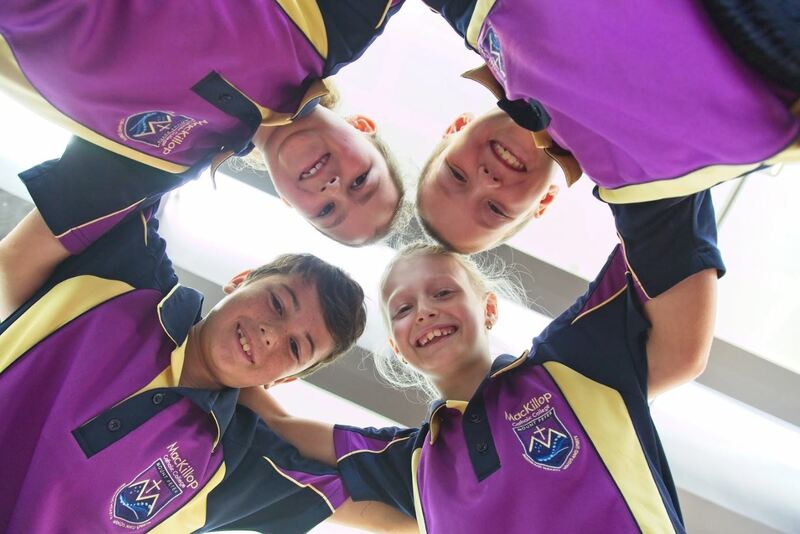 Principal, Luke Reed invites families and students to an afternoon or early evening information session on Tuesday of the last week of school, 04 December, to review the plans, explore the shape of the curriculum and discuss operational aspects of the College. Please come along on Tuesday 04 December at 3:00 – 4:00 pm – Year 5 room or Tuesday 04 December at 6:00 – 7:00 pm – Year 5 room (a better time for families travelling home from work). New families are also welcome to attend. Here is a video about the new facilities that have set MacKillop Catholic College up to provide students with more opportunities and grow our community further.